Located 26km southeast of Leh, the Mato Monastery, also known as Mangtro Monastery, stands on the Indus River and represents the Sakyapa sect of Tibetan Buddhism. Founded in 1410, this gompa is well-known for the Matho Nagrang Festival and beautiful thangkas that go back 600 years! Held on the 14th and 15th days of the first month according to the Tibetan calendar, the annual festival sees two monks act as oracles and predict the future of the village. Sakyamuni Buddha is the major statue here and the museum in the monastery houses robes and masks worn in the annual dance festival by the lamas. Built by the Indian Army to commemorate the heroic Indian soldiers who sacrificed their lives during the Indo-Pak wars, the Hall of Fame is a modern museum located on the Leh-Kargil Road. This two-storied building houses the weapons, ammunition and apparel used by the Indian Army during the Kargil War along with pictures of the troops. Photographs of valiant soldiers who gave up their lives for our motherland have also been displayed here. Do visit the projection room to watch the documentary Operation Vijay. Items depicting the culture and history of Ladakh are also present in this museum. The Hall of Fame is 4km from Leh city, and there is a souvenir shop on the premises. The confluence of the Indus River and Zanskar River in the lovely Nimmu Valley is a breathtaking sight. 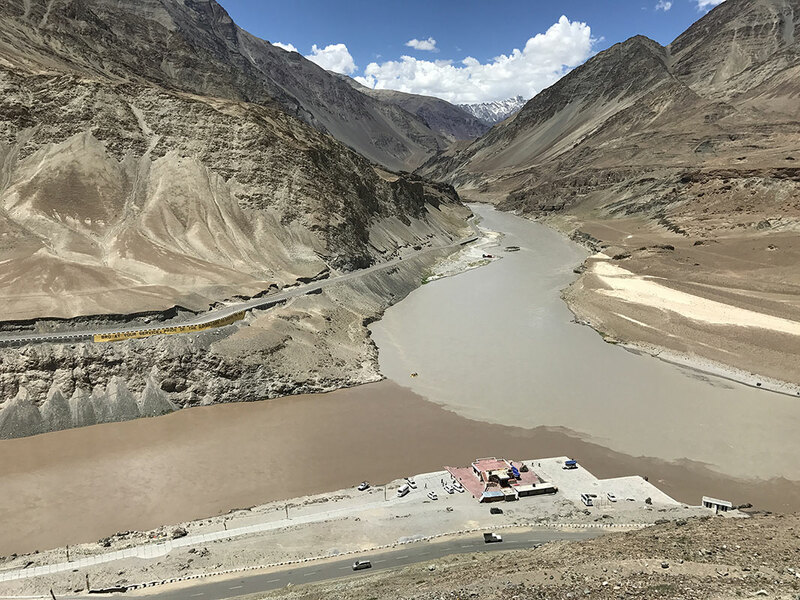 While the Indus River acts as a life-giving source in the arid landscape of Ladakh, the Zanskar River is its tributary and merges with Indus from the north east. The river makes its way through the amazing Zanskar Gorge, and attracts countless trekkers every year. The spot of confluence is very scenic, calm and worthy of photography. You will get to see unique rugged mountains on either side and even hear the gentle trickle of the river water. With a coveted location on the Srinagar-Leh Highway, the Lamayuru Monastery is one of the most ancient and largest gompas in Ladakh. It was once the leading Bon monastery here and today, it houses about 150 monks. Surrounded by arid mountains, this monastery is a wonderful sight and once had 5 buildings. Currently, you can see the remnants of the 4 corner buildings. Two annual masked dance festivals are held here on the second and fifth months of the year, as per the Tibetan lunar calendar. During these festivals, the monks from surrounding monasteries gather here to pray in unison. 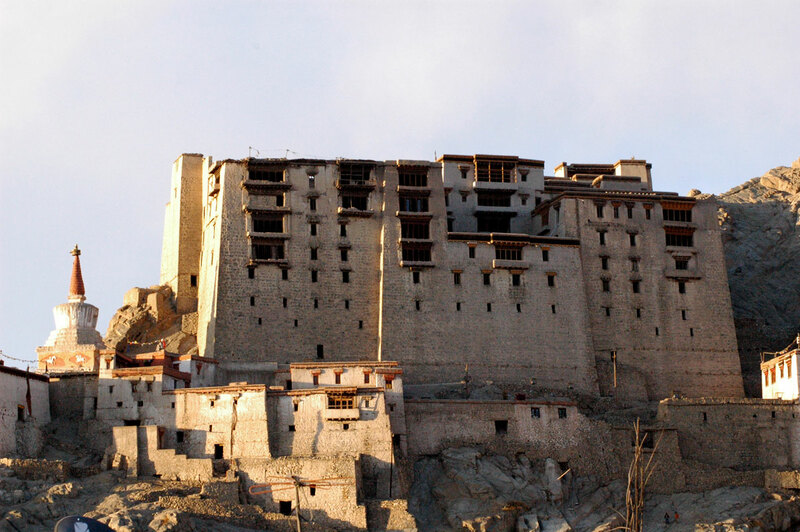 Alchi Monastery, located in the Alchi Village in Leh, is one of the oldest and most renowned monasteries in Ladakh. The monastery complex is considered to be built in the 11th century by a Tibetan noble as per the inscriptions on the monuments here. The locals although believe that Guru Rinchen Zangpo built it somewhere between 958 and 1055. The complex comprises of 3 important shrines, namely, Sumtsek, Dukhang and the Temple of Manjushri. Both Buddhist and Hindu influences can be noticed in the wall paintings of this monastery and they are among the oldest in Ladakh. The monastery complex also houses intricate wood carvings in baroque style and gigantic statues of the Buddha. 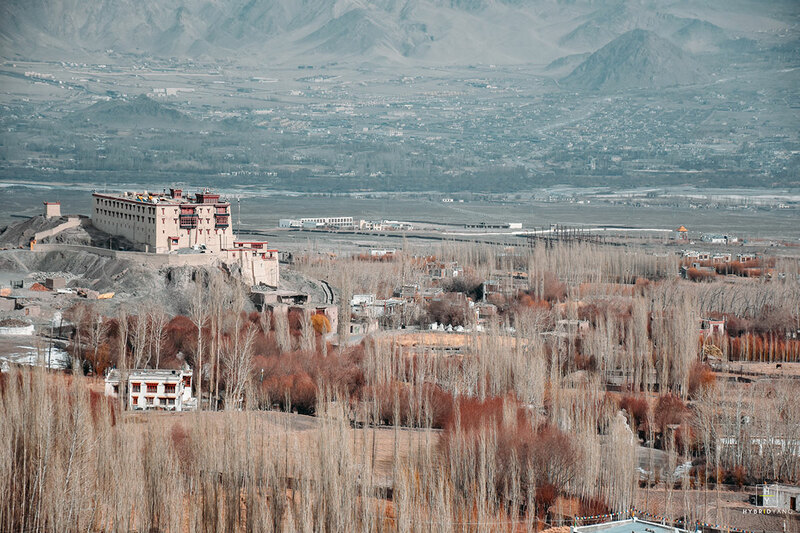 Situated in the Leh district of beautiful Ladakh, Namgyal Tsemo is a Buddhist monastery or gompa that is very well-known among adventure enthusiasts and passionate travelers. 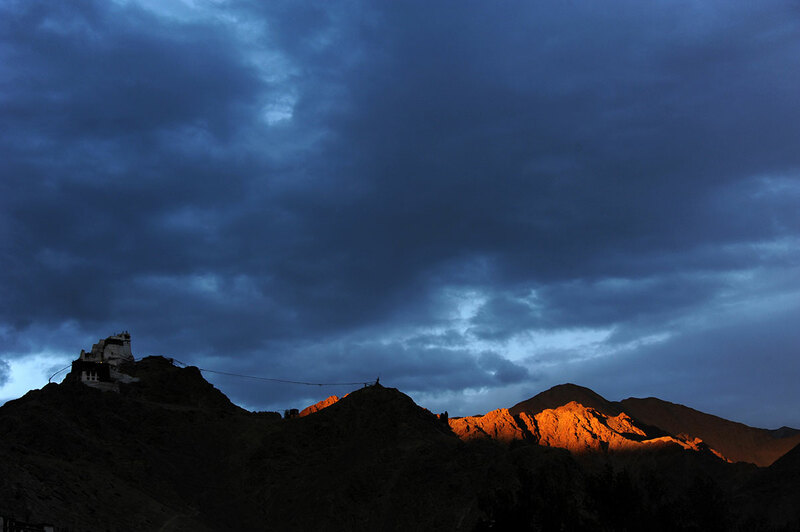 It is perched on top of a mountain behind Leh Palace and you can enjoy breathtaking sights of the Indus River and Zanskar Range from here. King Tashi Namgyal founded it in 1430 and hence the monastery is known after his name. The gompa stands out not only due to the many amazing frescoes and age-old manuscripts inside it, but also because it houses a stunning three-storey high statue of Maitreya Buddha. The statue is made of gold and a wonderful sight for sure. Perched on a hilltop in Chanspa in Leh, the Shanti Stupa is a magnificent white-domed structure that was built as a part of the Peace Pagoda Mission. Gyomyo Nakamura, a Japanese Buddhist Bhikshu supervised its construction in 1991and both Ladakhi and Japanese Buddhists contributed to its successful rendition. Enshrined by the 14th Dalai Lama, the double-level Stupa features Buddha’s relics at its base. 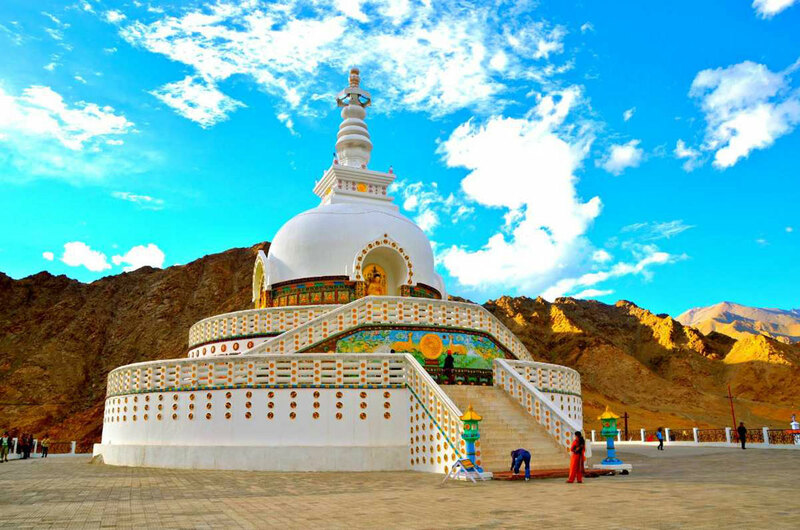 It is a major attraction among tourists as the Stupa offers unforgettable sights of the Leh city, the Changspa village and the arid mountains all around. The sunrises and sunsets are especially glorious from here. Constructed in the 16th century, Leh Palace is the former residence of the kings of Ladakh and overlooks the beautiful Leh town. Inspired by the Potala Palace in Lhasa, Tibet, King Sengge Namgyal built this marvelous nine-storey structure. Offering stunning views of the Zanskar mountain range and the Ladakh mountain range, this palace once housed the royalty on the upper floors and storerooms and stables on the lower floors. Tourists can explore the palace and spend time admiring its rich collection of royal ornaments, jewels, crowns, ceremonial clothes, and sooth paintings or Chinese thangkas which date back to more than 450 years. Popular as the largest monastery in Central Ladakh, the Thiksey Monastery or Gompa is identified with the sect called Gelug, of Tibetan Buddhism. 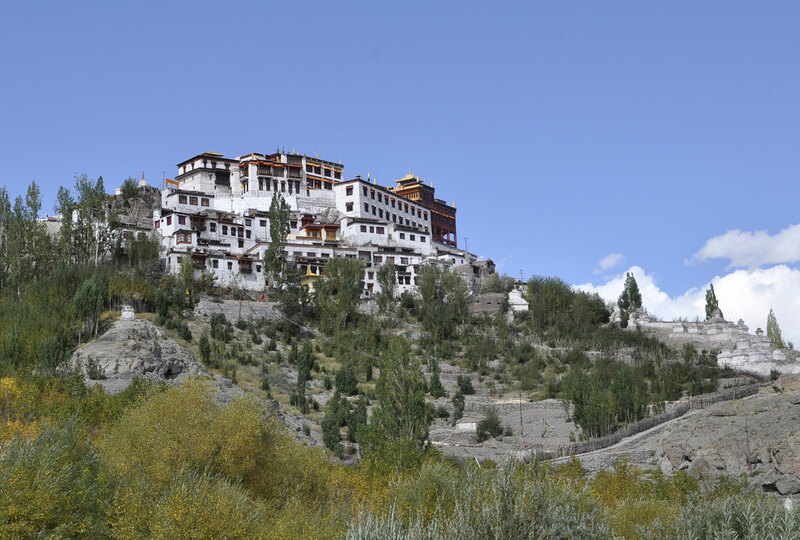 Situated at a height of 3600 meters, on a hilltop in the village of Thiksey, this monastery lies 19km to the east of Leh. This twelve-storey building mimics the Potala Palace in Lhasa, and is home to multiple statues, stupas, swords and beautiful paintings or thangkas. Do visit the Maitreya Temple with a 49 feet high statue of Maitreya here, as it was built to honor the 14th Dalai Lama’s visit. This statue is the largest of its kind in Ladakh. Re-established by the King Sengge Namgyal of Ladakh in 1672, the Hemis Monastery is affiliated with the Drukpa lineage of Tibetan Buddhism. Every year, in early June, the annual Hemis festival which honors Padmasambhava, is organized here. Traditional music with large drums, cymbals and trumpets is played here and the courtyard in front of the main door is decorated beautifully with prayer essentials. The festival commences early in the morning and mystic mask dances or chams are also performed. The gompa is 45km from Leh and the location is very scenic. Moreover, tourists can admire the gorgeous and colorful murals that abound in this monastery. Built in 1820 by expert Ladakhi craftsmen, the Stok Palace is a heritage site and comprises of three stories. As a brainchild of King Tsepal Namgyal, this palace still acts as a summer home for the royal family in Ladakh. Situated in the middle of the Indus Valley, this palace was first opened to tourists in 1980 after being blessed by the Dalai Lama, and is still a big attraction. Surrounded by grand mountains and snow-capped peaks, the palace overlooks the lush countryside of Stok. The museum inside the palace boasts of beautiful jewels, crowns, swords and more valuables that belong to the royalty.